The number of Ulcers and Bruises have increased slightly again for the month of February, as well as complaints of Rheumatism. These things are not unusual after such a prolong'd exposure to the cold and wet of our current assignment. 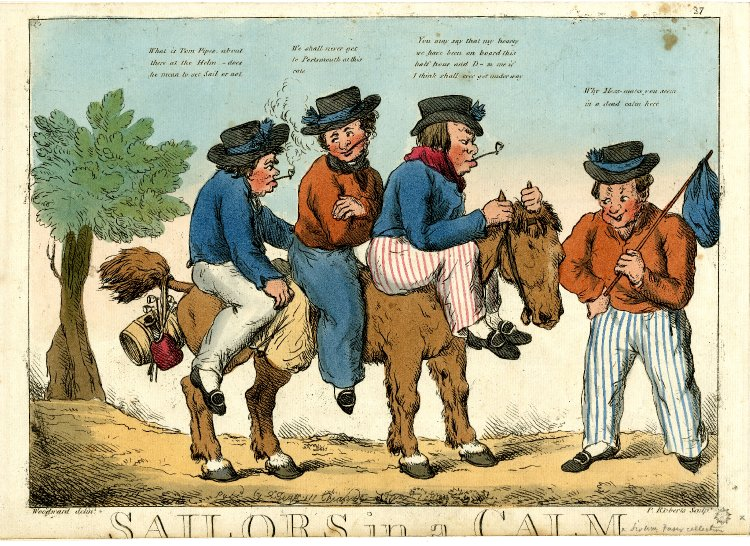 Compiled and submitted for the month of February by Ship's Surgeon, HMS Acasta. "Haye Park might do," said she, "if the Gouldings would quit it -- or the great house at Stoke, if the drawing-room were larger; but Ashworth is too far off! I could not bear to have her ten miles from me; and as for Purvis Lodge, the attics are dreadful." The order of a barrel of Mr. Martin’s beer to be delivered to Purvis Lodge every other week continued to stand all summer long. Martin would deliver the fresh barrel and Mr. Higgins, the sailor that took care of the kitchen, would return the old barrel. 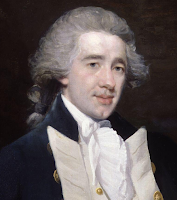 Martin had learned that Mr. Higgins was the Captain personal steward when they were aboard ship and that Higgins had been with Sir James in one capacity or another for years. The talk in the nearby village of Stoke was that a famous artist had taken up temporary residence with Sir James. It was a rumour that Mr. Martin would later be able to confirm to his neighbors’ delight when, as he was passing the walled garden at the back of the house, Sir James called out to him from within. “Mr. Martin! Mr. Martin, a moment if you please!” he shouted in a voice accustomed to making itself heard. Martin stopped the cart and made his way through the garden gate. There, against the stone of the house stood Sir James, in full dress uniform, gold lace and medals glistening in the sunlight. A few yards away was the artist in a paint covered smock, seated at a stained, wooden easel that held a great canvas. Martin stopped right next to the artist and took off his hat. “I’m pleased to have caught you Mr. Martin!” Sir James said whilst striking a heroic pose against the house. He did not move as he spoke and the artist sketched on. A gentle clearing of the throat from the artist prompted Sir James to put his right arm back into its original position. “No sir, I’m afraid not.” he shifted his hat in his hands. “By God, after my ball, there’ll be wives enough for the whole lot of us! I intend to invite every young woman in the county and even a few of the old ones!” the Acasta captain laughed. Suddenly aware that he had moved out of his heroic pose, Sir James snapped back, left hand on sword hilt, right hand extended, gazing off into some ethereal distance. Mr. Martin felt sure this was not a debate that required his opinion. Play'd cards last night in the wardroom with several of the officers, I lost again as per usual. Lt. McLean seemed quite distracted by his well-worn copy of the newspaper he purchased when at Halifax last. This may make his tenth reading of that issue. Mr. Armitage was quite distracted by the reading of Aesop's fables printed on each of the cards. So engrossed was he that several times I had to prompt him as to whether he would 'have it' or 'hold' whilst we played at One and Thirty. Fourteen? I shall 'have it'. The view atop the Doctor's desk. Click for greater detail. A page torn from the latest Navy List. As you can see, the Doctor joined up in '96. A tin for the Doctor's important mail. A sampling of the Acasta's medical library. It has long been a favorite contention of those who believe sea serpent stories describe real, although unknown , types of animals that stories describing a long necked, plesiosaurus looking creature could actually be describing a mammal. Bernard Heuvelmans, one of the founding fathers of cryptology, actually differentiated three different types of long necked, mammalian “sea serpents” in his classic work on the subject “In the Wake of Sea Serpents”. 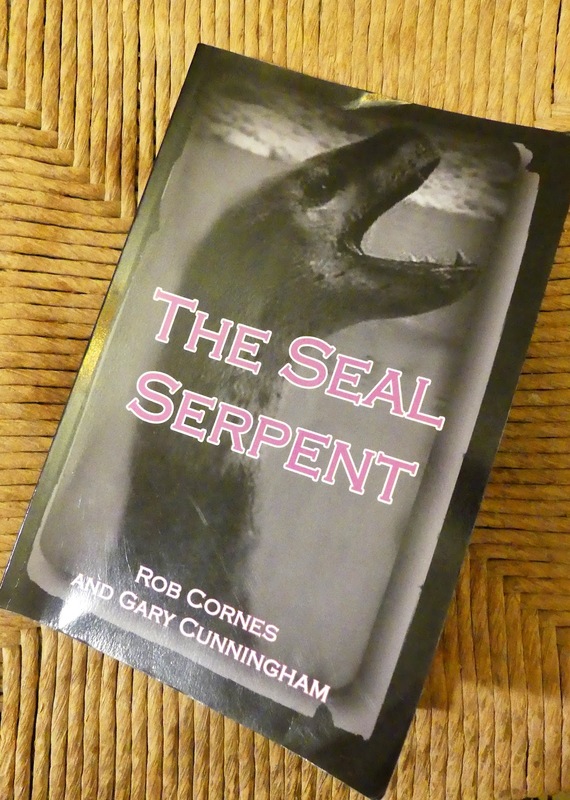 Cormes and Cunningham, in “The Seal Serpent”, investigate and speculate on the possibility of at least some sea serpents being an unknown type of long necked seal. 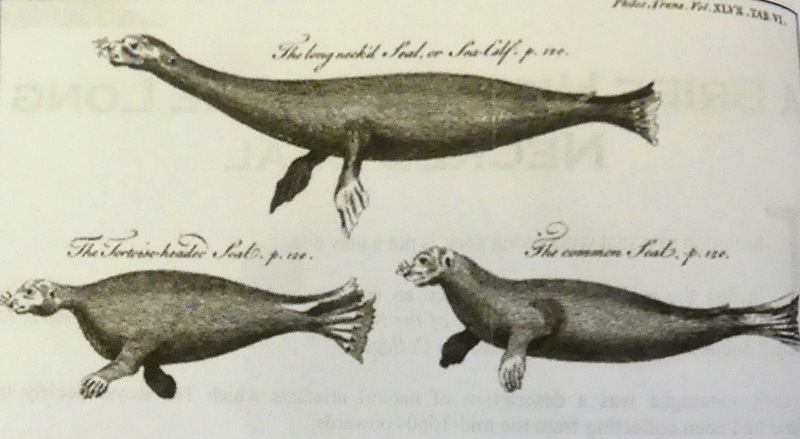 While there have actually been descriptions by scientists in past centuries of long necked seals, any such creatures remain scientifically unknown today. This is a very through investigation, and consequently not light reading. The authors look at the “bunyip“of Australia, more or less concluding that most reports describe out of place or unknown seal types. They relentlessly examine accounts of out of place seals and sea lions. They examine the folklore of various sea serpents and lake monsters. They examine scores of long necked sea serpent and lake monster reports looking for similar traits, behaviors and appearances. One thing I was struck by was that, although reports of the long-necked type sea serpents are common, the similarities pretty much end with a head on a long neck. Some have large eyes, others have small eyes or no visible eyes, some have a mane running down the neck, others don’t, some have ears or horns, others don’t. Heads are variously described as horse like, camel like, dog like, sheep like, cat like and yes, even seal like. In the end the authors do something unheard of in the annals of cryptozoology literature. They relate that their thorough search through reports of long necked sea serpents has actually moved them further from a belief in a long-necked seal rather than closer. I’ve got to respect that kind of investigator. 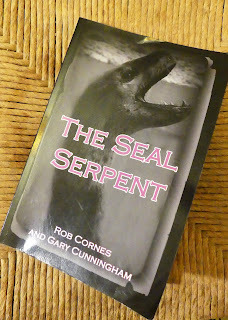 If you have a real interest in sea serpents in particular, unknown animals or cryptozoology, then I recommend this book. If your interest in sea serpents is more general, then there are less specialized books on the subject that would probably suit you better. Popham as a young Lt. The Admiral Popham Telegraph Signal book of 1806 is the book used on board Royal Navy ships, including the Acasta. Lord Nelson's final signal at Trafalgar was giv'n using the same system. I. Preparatory flag consisting of a red-and-white diagonal flag which is flown at the start of a signal to show that it was a telegraphic signal. II. The message finished flag consisted of blue and yellow diagonal. III. If the message was understood the affirmative signal or a repeat of the signal that was sent. IV. If the message was not understood then the affirmative signal with a white flag was flown. V. If the message was to be answered a further flag was flown. VI. If a number was to be sent then a numeral pennant was flown. You may find a copy of Popham's Telegraph Signal book HERE. Have a look through it, it is a fairly simple system. You will need this as a reference from time-to-time when the Acasta hoists her signal flags. • When an enemy ship is taken, the ship is to be locked up to protect from embezzlement until it is assessed and sentenced by the Admiralty Court, which is impowered to take Cognizance of Causes [a] of that nature. 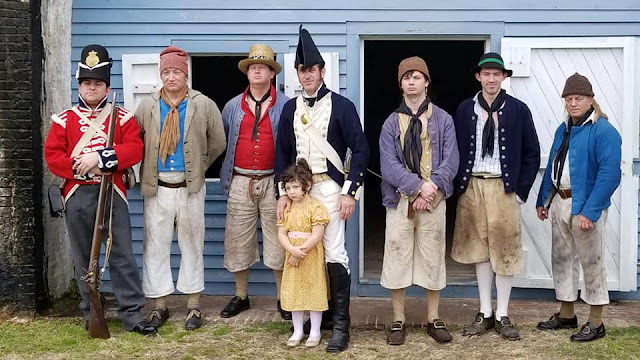 • The Captain is to have the officers of the prize vessel examined, including three or more of the crew, and bring them to the Admiralty Court. All necessary papers, Charter-Parties and Lading Bills found are to be presented also. 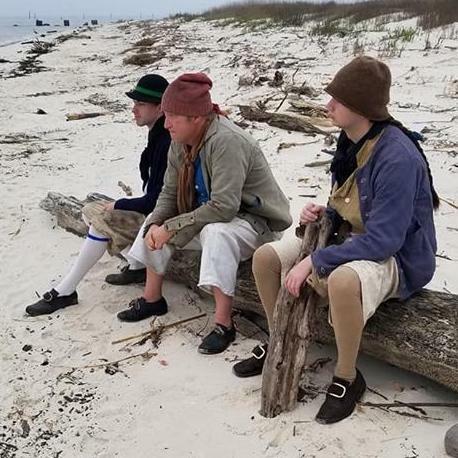 • If any Englishmen are to be found among the prisoners, their names are to be written down along with a recount of the circumstances of their capture. Their word can also be used against them. • The aforementioned prisoners (who are found to be Englishmen) are to be examined before the Magistrate with his own witnesses. Copies of the Declaration they make are sent to the Secretary of the Admiralty. • When a Privateer is taken, all the ship’s papers (especially the Commission) is to be secured. If no legal Commission is found, then the Prisoners are to be brought before a Magistrate for examination, and committed as Pirates. [a] Cognizance: n. (1) Judicial notice or knowledge; the hearing, trying and determining of a cause or action in court. (2) Jurisdiction, or right to try and determine causes. “American Dictionary of the English Language.” Websters Dictionary 1828, webstersdictionary1828.com/. “Regulations and Instructions Relating to His Majesty's Service at Sea: Established by His Majesty in Council.” Regulations and Instructions Relating to His Majesty's Service at Sea: Established by His Majesty in Council, 13th ed., Printed in the Year, 1790. Acasta Volunteer under Capt. Beaver, c. 1809, aged approx 12 years. Charles Robert Malden was born, 9 Aug. 1797, at Putney, co. Surrey. His father, a medical man and general practitioner of repute, resided at Maiden, in Essex, a place from which his family, who had been seated there for many generations, derives its name. 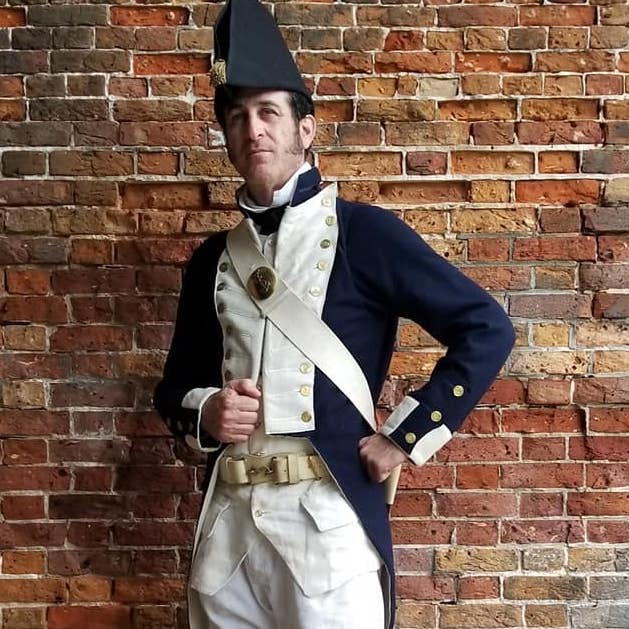 This officer entered the Navy, 22 June, 1809, as a Supernumerary, on board the Diligence Navy transport, Master-Commander Alex. Black, in order to await an opportunity of joining the Acasta 40, Capt. Philip Beaver, from which latter vessel he eventually, in Oct. of the same year, removed to the Scipion 74, bearing the flag in the Bay of Biscay of Rear-Admiral Hon. Robt. Stopford. Being again, in June, 1810, placed under the orders of Capt. Beaver in the Nisus 38, and awarded the rating of Midshipman, he sailed for the Cape of Good Hope and the East Indies, and assisted, while on those stations, at the reduction of the Mauritius and the island of Java. 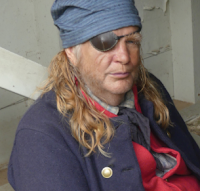 Soon after the commencement of the war with the United States, he was sent home in a captured American Indiaman. I BEG leave to acquaint you, that His Majesty's ship under my command, in company with the Acasta, captured this day the American schooner privateer Highflyer, mounting five guns, and having on board a complement of seventy-two men : she was on her return from the West Indies, where she had made several captures, is a particularly fine vessel, coppered and copper fastened, and sails remarkably fast. 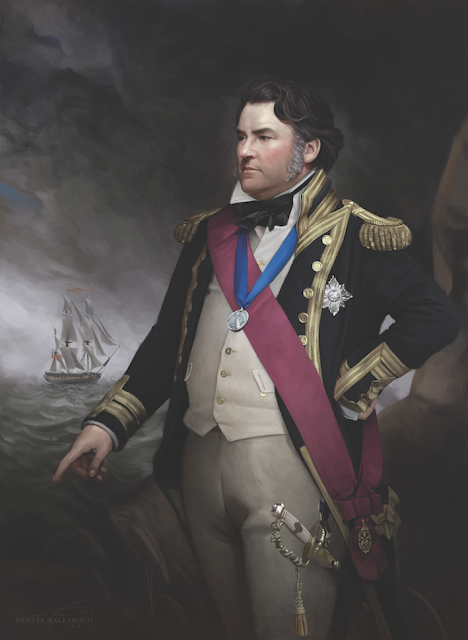 Admiral Sir J. B. Warren, Bart and K.B. Cargo, and estimated value- Nails, R, S, &c.
3 armed, and one a packet, See Table of Actions. 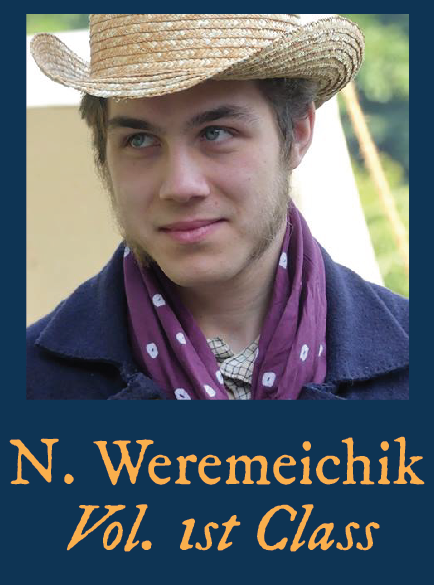 Was captured by the Poictiers, 74, February, 1813. Memoirs from actual inhabitants of the lower decks are fairly rare, and this is one of those rare gems. 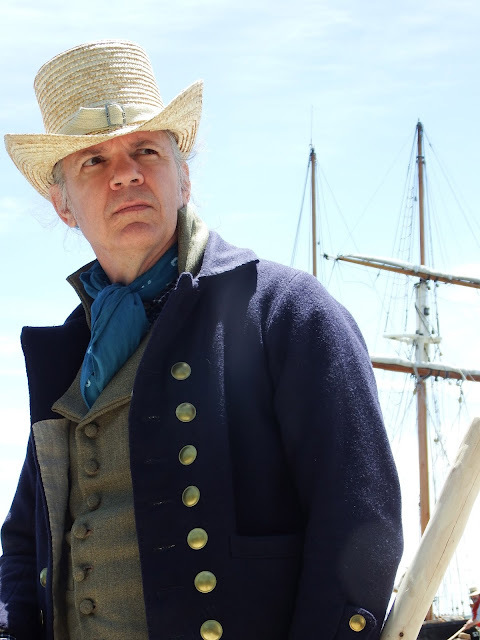 Robinson was a volunteer (he soon regretted that) in Nelson's navy. He was actually at Trafalgar and several other notable actions. At less than 200 pages the book is an easy read. 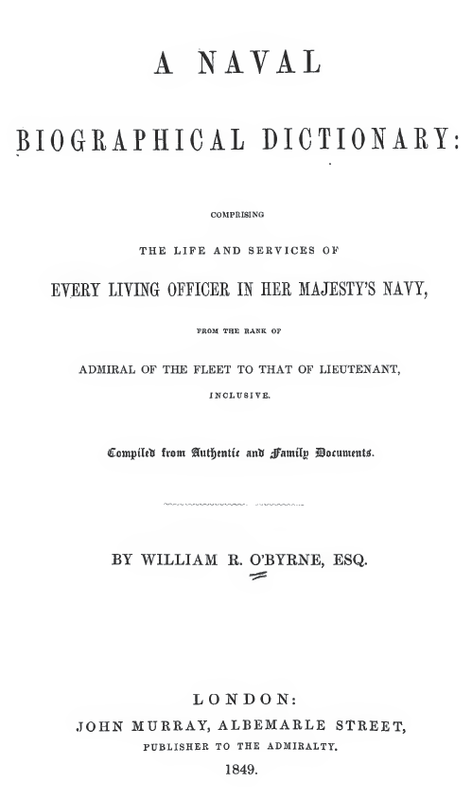 The first part of the book give a good, but brief and general, over view of the life of a common Royal Navy seaman of the time. The second part is a general account of Robinson's career in the Navy up to the time of his desertion. 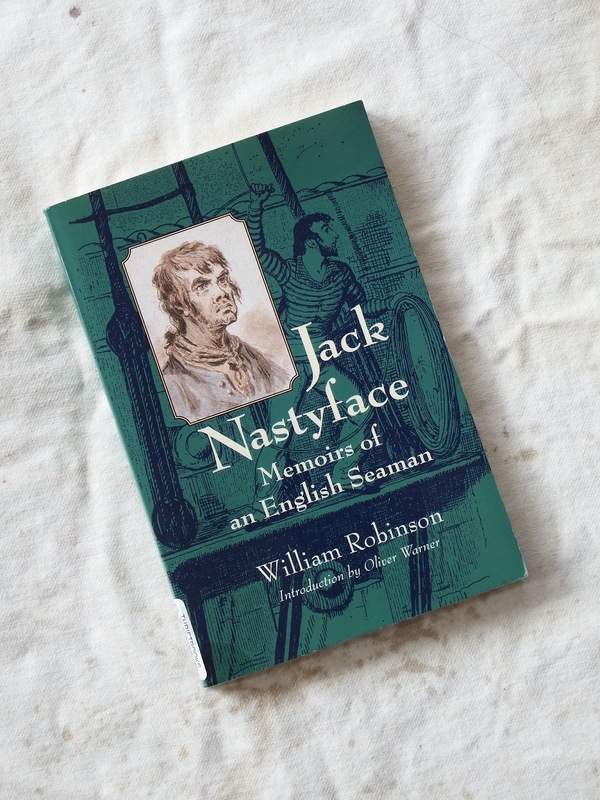 The book concludes with a brief account of the common methods of punishment in the Royal navy and Robinson's thoughts on impressment. An excellent book which should be a part of each Acasta's personal library. 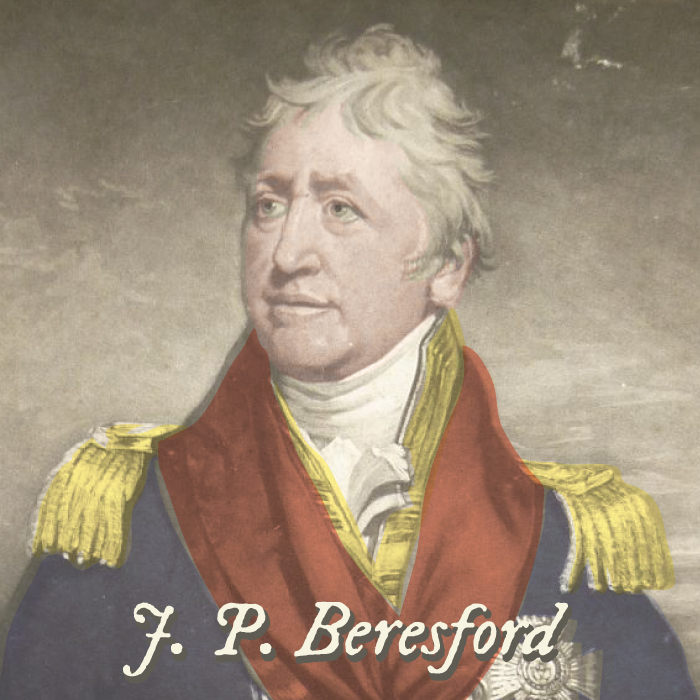 I especially recommend it as a first research book for anyone just beginning a Royal Navy impression.